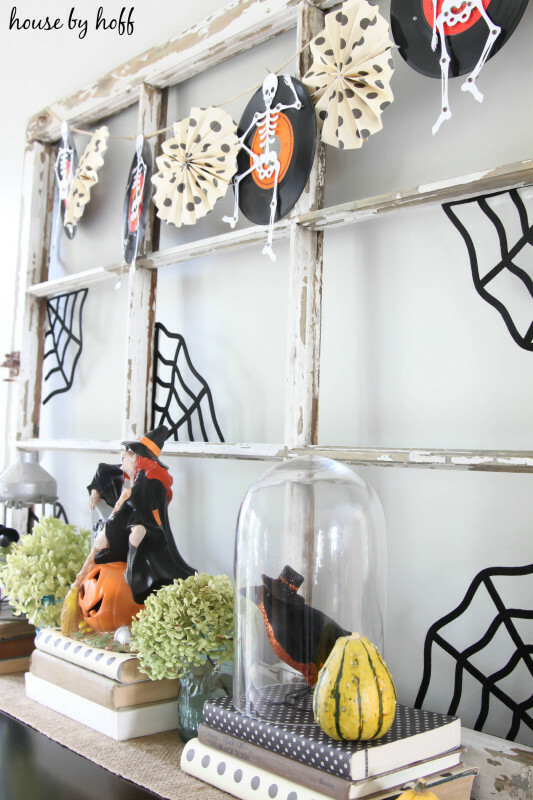 When decorating a house for Halloween in a kid-friendly way, one must include dancing skeletons…right?! 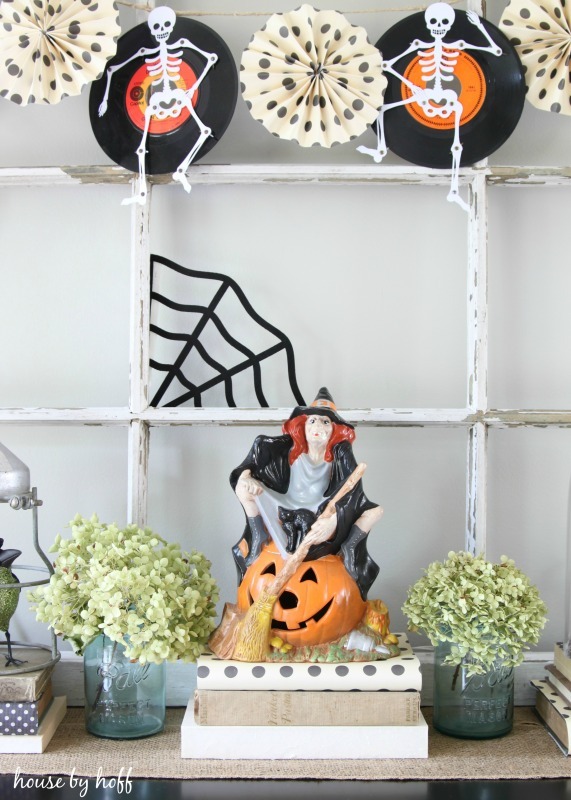 Miss L. and I can’t get enough of the funny dancing skeletons in our “Boogie-Bones” Garland. It’s possible that I may have put the Halloween decor up a little too early. Try explaining (100 times a day) that Halloween isn’t for another 3 weeks to a two-year old. The dancing skeletons were downloaded and cut on my Silhouette Cameo. I purchased tiny little brads at Hobby Lobby and used them to attach the bones and create the completed skeleton. The orange-labeled records were a garage sale find, I think I paid like 10 cents for each one. I made the pinwheels out of scrapbook paper, and strung everything on some twine! 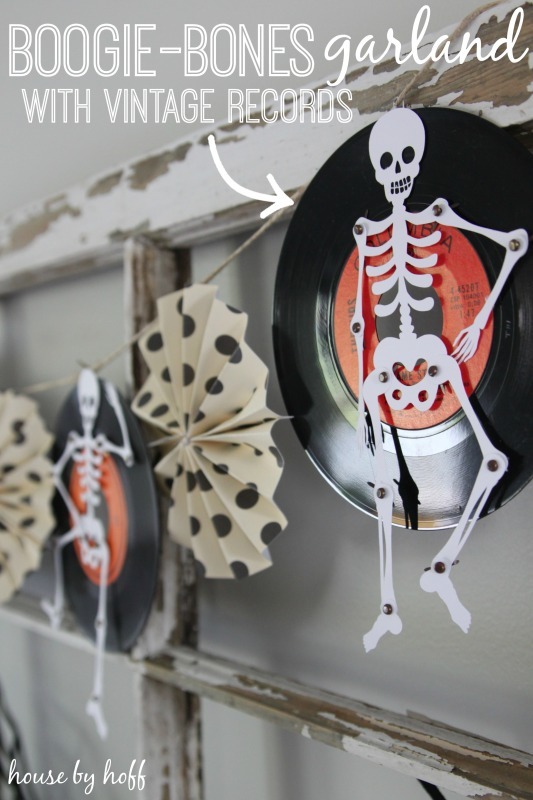 I’m not gonna lie, I REALLY love this “Boogie Bones” Garland! So adorable, April… and I never thought I’d say that about a skeleton. 🙂 What a great idea!